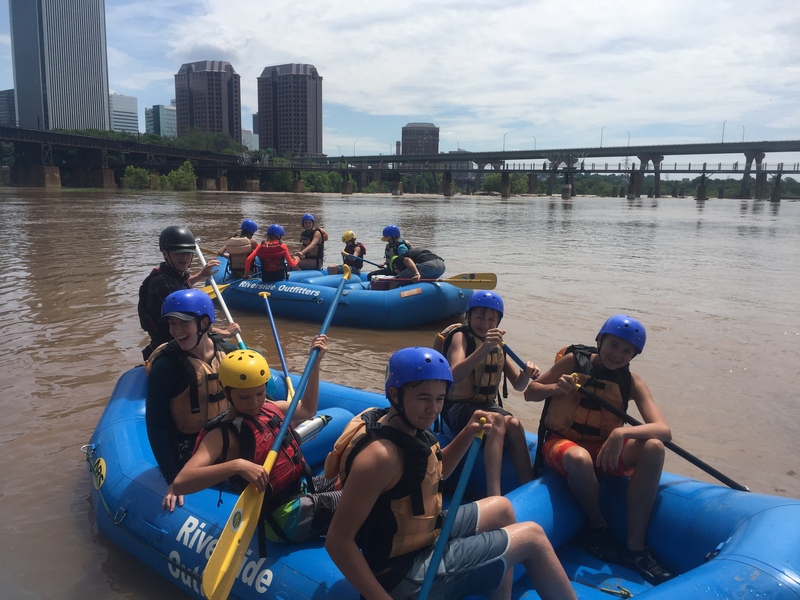 Junior Guide Camp is for future Guides-In-Training, what we call first-year staff who are training to become professional raft guides at the end of each spring. Your child will develop the foundational knowledge and skills required on the journey to becoming a professional raft guide… a reality we hope most of them desire to achieve with us when they turn 18. 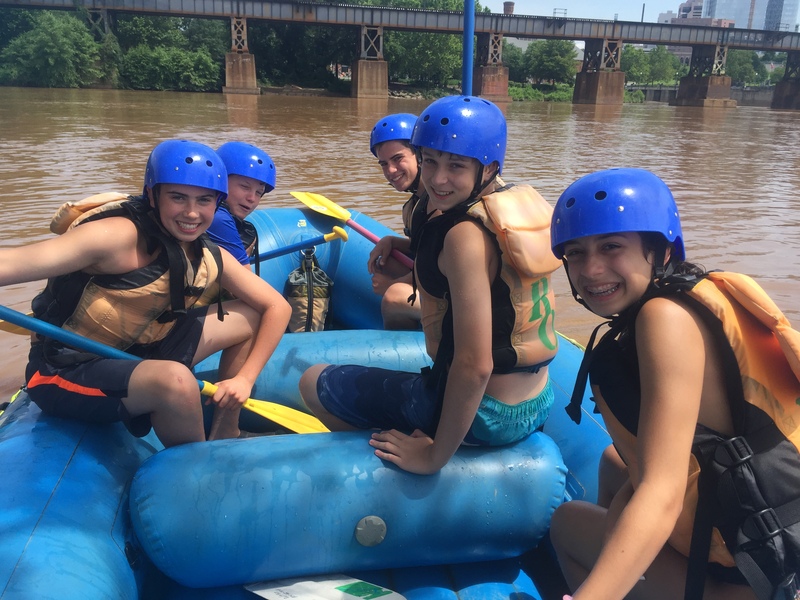 Each day of camp will be chock-full of, not just hands-on skill development, but river adventure, friendships and straight up “you won’t believe what I did this summer” type fun– all alongside professional raft guides. 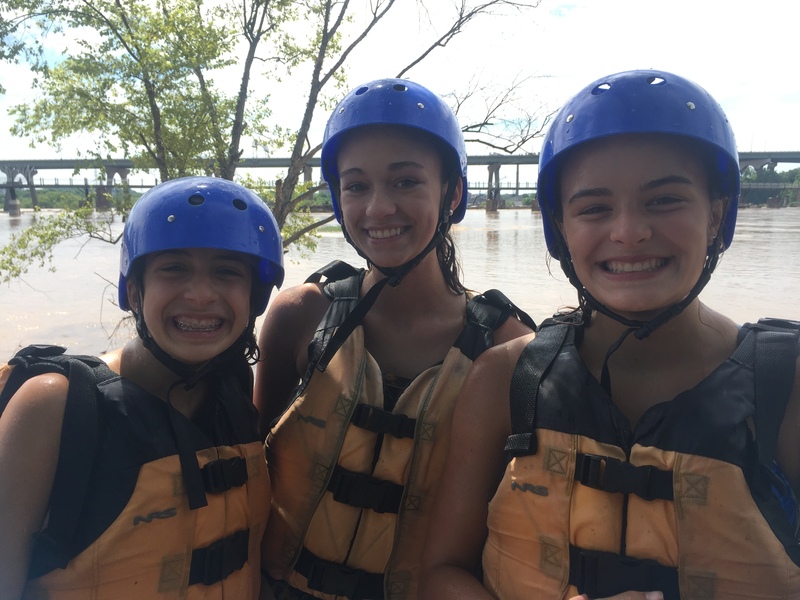 These guides will not only be your child’s mentor, but valuable friends as your Junior GIT continues their journey into the Richmond whitewater community. 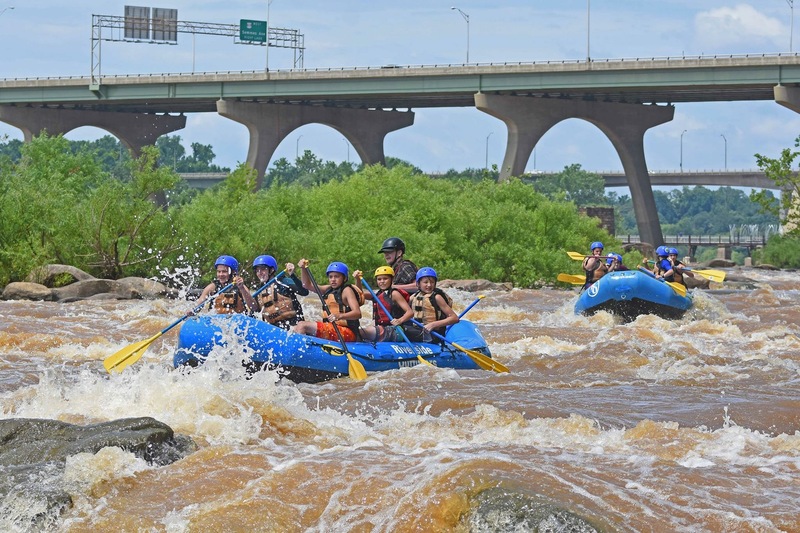 Campers will learn river hydrology, lead a group of “customers” through whitewater, and team-build with peers and mentors to accomplish goals. By week’s end, your child will be well positioned to paddle more effectively as either a job or hobby down the road. It’s hard to find a summer camp that leaves your kids with practical, marketable skills AND is super fun and memorable at the same time, but that is exactly the foundation this camp is built on! 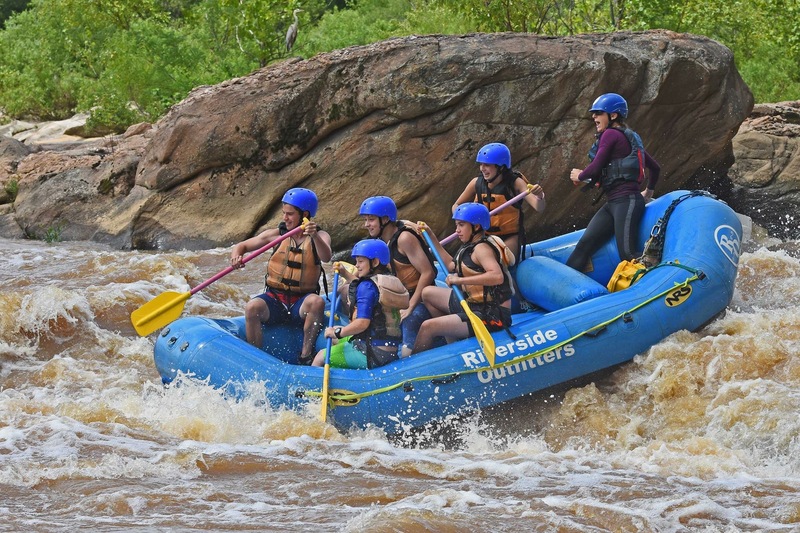 Camp is led by ACA certified instructors who are also professional river guides. 2019 Sessions - Monday through Friday. Cost: $450 per week.